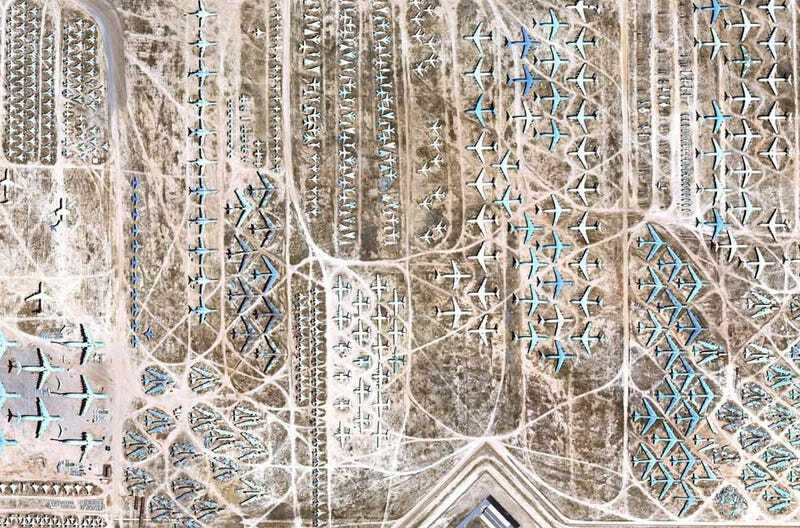 The 309th Aerospace Maintenance and Regeneration Group (AMARG), also known as the Boneyard, is a four square mile site in Arizona housing 4,000 retired aircraft—or at least one of almost every US armed forces plane since WWII. Google Earth has recently released this gorgeous (in a maudlin sort of way), 1.5MB satellite view of the facility. You can see the entire shot over on the BBC, and if you're annoyed by their tiny frame, just right click the magnified version to "view image" to see the entire thing. You can also just check it out through Google. UPDATE: Apparently, Bing has it at even higher resolution.